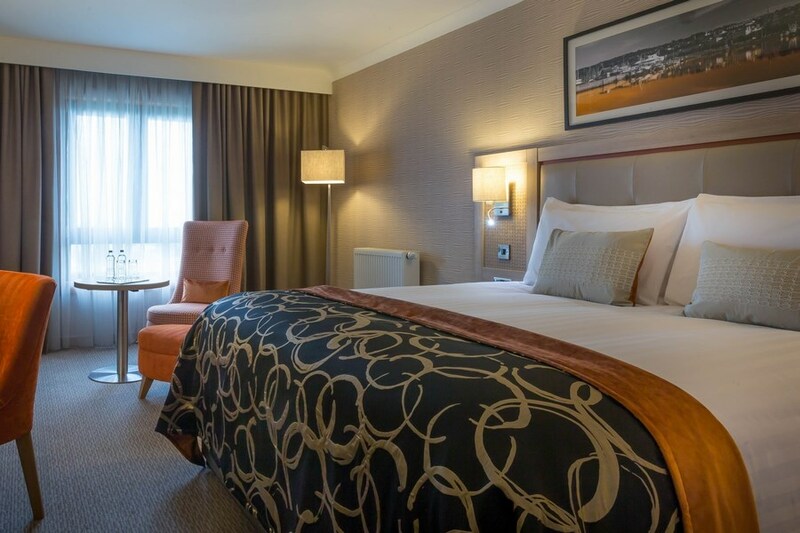 The Clayton Hotel Dublin Airport is just minutes from Dublin Airport Terminal by courtesy coach, with a FREE regular 24-hour shuttle service, this contemporary hotel provides the ideal choice for a pre or post flight stay. The hotels accessible location at the M1/M50 junction also makes it a convenient meeting point for conferences, meetings and events. Strategically located at the M1/M50 interchange The Clayton Hotel Dublin Airport is easily accessible from all parts of the country. Located just minutes from Dublin Airport the hotel offers a free shuttle service to and from the Airports main Terminal making it an ideal stopover choice for visitors flying into or out of Dublin.. The Clayton Hotel Dublin is located within easy reach of Dublin Airport and is ideally situated to base yourself before your flight. I stayed at the Clayton Hotel on the 23 December i had a very pleasent stay the food and the room was lovely would stay again . Room was perfect, lovely and warm, bar was great, place was lovely, only downside I came across was being sold a voucher for dinner at reception without actually being told it was for a select menu (a very, very select menu). Other than that I would definitely visit again, I really enjoyed my stay. Huge hotel, ample parking but charged at guest rate of 9 euro per night. Lovely foyer with spectacular light fittings and beautifully decorated for Christmas. Resident's bar offers a variety of seating within or in an adjacent area to watch the world go buy. It also features a snug type library area for a more private drink. Restaurant La Brassiere is pretty uninspiring from a decor point of view and it doubles as the breakfast area in the morning. The set menu with the deal is fairly limited, lots of supplements. There was a 60th party in an adjacent function room and the music was blaring throughout our meal which was very disappointing. This time of year, so close to Christmas, is possibly to be avoided if you prefer not to share what was for me a rare night away of good food, company and relaxation! Lesson learned the hard way. Between supplements and parking etc probably cost us 100 per person in the end. We were pleasantly surprised with the Clayton Hotel. Staff were helpful and the check in was well organised. Both rooms and food were good. Would recommend it and will certainly use the hotel again when we need to fly out of Dublin Airport. Not great, TV did not work properly, staff quick to respond although when we changed room TV was not a flat screen it was very old and should not be in operation. Bedrooms smelt of smoke even though smoking is prohibited. Not impressed that if you want herbal tea for breakfast there was an additional charge, which seemed mean considering I paid for breakfast to be included. Car parking was an additional 9 Euro on top of your stay. House keeping staff did not greet you in the morning as you passed them, courtesy towards guests would of been nice. Would not be back. Had car parking charge complimentary due to the complaint. Lovely hotel and food was gorgeous. Very disappointed.Having stayed at previously Bewleys was disappointed at the Breakfast . Because I dring only green tea they charged me €2.75 for a green Tbag instead of the usual Tbag this was extra even though the breakfast was paid for. Also it was very degrading to have to ask for your hot breakfast.There was no tongs to help yourself you had to wait for someone to come and serve you.Then it was one sausage and rasher and you had to ask igf you wanted a second. The hot food was also only warm. We were just returning from a holiday abroad where the treatment was first class and where you were never made feel it was all about the profir margin. Hence you will have guessed we won't be going back after having stayed many times. A little note to management little things matter to customers, charging for tea on a €14.99 breakfast not a good strategy .While skimping on the breakfast might in the short term make you a few euro more long term it will only loose you customers. The room was lovely and clean. Staff were lovely. However the food in the restaurant was awful. We had salmon and hake. Not fresh fish and seemed as if it had been cooked in the microwave. I stayed here with my 2 children and their grand mother. It was a very comfortable hotel we arrived after 10pm after a long day driving, we checked in with ' Stephen' ( he was fantastic to deal with, very friendly to both of my children 4 and 12 and chatty with myself and my mother) he booked us quickly and efficiently as all were tired. He was extremely friendly and helpful and very welcoming. The room and beds very comfortable and good size for a family and breakfast variety very good. We would stay here again! Nice, very large airport hotel with modern decor in lobby, restaurants and bar areas . Bedrooms are plain and simple, very clean with spacious counter space. Bathrooms have good water pressure and showers work well. Showers can be slippery since there are no bath mats to stand on in tub. Rooms can use a box of tissues. Breakfast was buffet style and plentiful. Free transportation to and from the sirport in an old large bus. Unfortunately, we had a very slow moving bus driver , walking out to the bus at a snails pace with his mug of coffee or tea on Saturday, January 2, 2016 at noontime. He was full of talk with his male coworkers, who helped to delay him even longer in getting the bus on the go to the airport. Glad I wasn't catching a plane that day from Dublin Airport! Slow as molasses! Good grief! This Hotel is ideal for anyone taking an early flight from Dublin Airport. Take the stress out of travel and enjoy a good nights sleep. Hotel has a great shuttle which runs every 20mins. When we arrived back in to Dublin Airport after mid night the bus was also waiting to bring us to the Hotel. Staff fast and efficient in all departments. Rooms clean and warm. We also enjoyed a wonderful breakfast the following morning. Lovely food served in the restaurant each evening. Great Christmas Atmosphere in the Lobby and Bar area. 24hour breakfast available, you also have a coffee area available 24 hours a day for sandwiches etc. Great Hotel. Hotels staff were lovely and Janine was very helpful .... Only thing was disappointed about was parking fee.,, we stayed there and parking should have been free , so we might not book again because of this. Beautiful hotel nice, large bedroom,very clean bed linen and facilities. Will stay there again. 2 complaints(1) left breakfast table unattended for coffee, breakfast cleared when we returned (2) checked in after 11pm on 29/10 a struggle to get a drink, no fault of the young lad serving at the snack bar. Could'nt get drinks ordered, no service from the bar. Eventually got drinks, no mixer, was advised by reception go to machine in lobby for mixer. Not very professional. Good value get the logistics right? Clayton hotel is an excellent hotel..... staff, accommodation and food! Have stayed here twice in the last month and many other times (but it has improved 100%) and couldn't find fault with it! Great hotel. Staff very friendly. Great location for what we had to do in Dublin. Kids loved our room with a view of the planes coming in as we were at the front of the hotel. Would definitely stay here again. Too noisy and staff inept at dealing with problems- NO security at night- hangs fighting in car park - never again! Comfortable stay in a clean room. Would have been handy to have some shower gel as when you carry hand luggage only on the plane you cant really carry toiletries and arriving late at night you are a bit stuck. Pleasant stay. Room was comfortable & staff courteous. Check-in was quite busy and somewhat unorganised. Breakfast was very busy and the selection was not so good as food did not appear to be replenished later in the morning. I would stay at the hotel again as it is convenient for aiport and shuttle bus service is efficient. Enjoyed our stay in Bewleys Dublin Airport.All staff very helpful .Rooms very nice & enjoyed lovely breakfast.Had nice visit.Looking forward to return visit. Hello, My wife and I stayed here on Friday night 9th May 2015. Late Ryanair flight and no bus to our home. It was 2am by the time we got to your hotel so very late check-in. Requested shuttle bus using the courtesy phone at the airport. Promised in 10 mins. 30 mins later no bus. We were waiting in the area marked "Shuttle Buses" [Zone 4]. I got on the phone again and I admit was a little angry with the person on the desk. He politely informned me the shuttle bus was there but in Zone 14 "Coach Park". Shouldn't the Shuttle bus park in the space identified as "Shuttle Bus" ? Next step was a PURE DISASTER : on arrival at the front desk the Night Manager informed us he had "bad news" : hotel was overbooked and there were no rooms available. This was 2am. I was so tired I hadnt the energy to get mad. I just sat down on a chair and waited for the taxi to your sister hotel in Ballsbridge [which he was arranging, taxi free-of-charge]. 10 mins later - he walked over to us and informed us he actually had a room available after all. Not on top of his game was he ? Why didnt he know he had an empty room ? Got to our room and collapsed into the bed. Woke later [the same morning] at 10am and downstairs for breakfast. Your restaurant is dis-organized : it is not clear which Customer is paying and who is not [we had breakfast vouchers]. While eating our breakfast, we witnessed one "unpleasant scene" at the checkout where this confusion spilled over and I have to say I felt sorry for the checkout person. How do you distinguish between a [prepaid] Customer and one who has to pay for every extra item they eat ? Your restaurant is also FAR too big and space is not well utilised. Front desk Checkout was VERY FAST and the lady that helped us while a 'trainee' was 100% competent, mannerly and efficient. I'm not finished yet : we went outside to board the shuttle bus for the Airport, Bus full and Bus Driver arrived. However he then got on the walkie-talkie and proceeded to request a colleague to relieve him for his break. Our bus-driver volunteered [aloud to us all] that he had no problem waiting 10 mins for the relief driver to arrive. What about his passengers ? Were we asked ? Had we tight schedules ? As it happened, we didnt but that is not the point. Came across as very un-professional. That was our experience at your hotel. I'm not a cranky person - perhaps too honest sometimes. But if you are genuinely interested in improving your hotel, you have plenty of raw material here .... ? Hurts to pay 9euro overnight parking... Staff are really excellant, friendly helpful, just lovely . Room very clean, a little basic but adequate.. Dinner was a bit of a let down, but edible.. Breakfast very good. Very good hotel clean bright spacious and comfortable hotel. I will be back again. However, food in the bar and drink very expensive overpriced but very good hotel but I enjoyed my stay and will be back again. Hi we had a lovely stay and the food was great the only thing was no air condition and the room was very hot especially for the kids . Really enjoyed Bewleys hotel Dublin airport for our nights stay. Staff were so friendly and kind. Food was lovely. We always stay here when in Dublin.near airport and Beaumont hospital. I have stayed here before and the hotel continues to provide comfortable, well-appointed accommodation and good food at a very reasonable price. 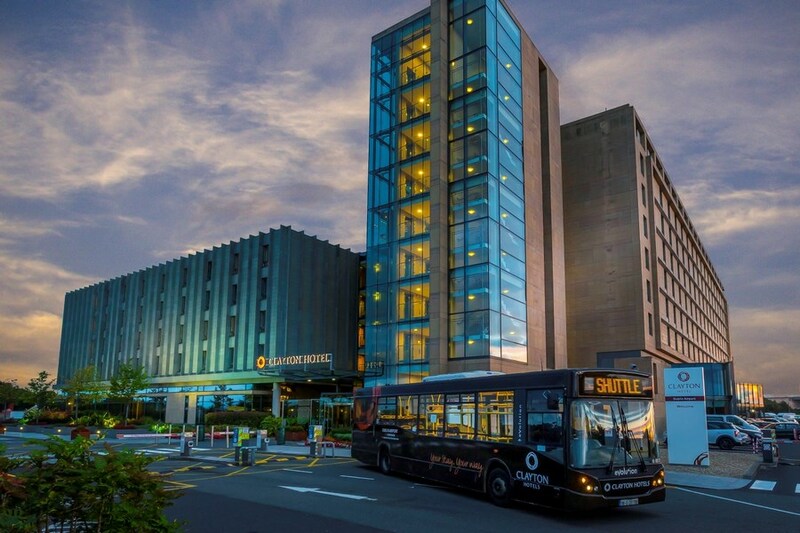 Although we weren't travelling from the airport on this occasion, the location of the hotel and the shuttle bus make for a convenient overnight stop for air travellers. Although the bedroom was well-appointed and had everything that we needed - including tea/coffee making facilities, iron & ironing board, trouser press, etc., only liquid soap was provided in the bathroom - so if you are particular about your soap, your shampoo or your shower gel bring your own! We will return. 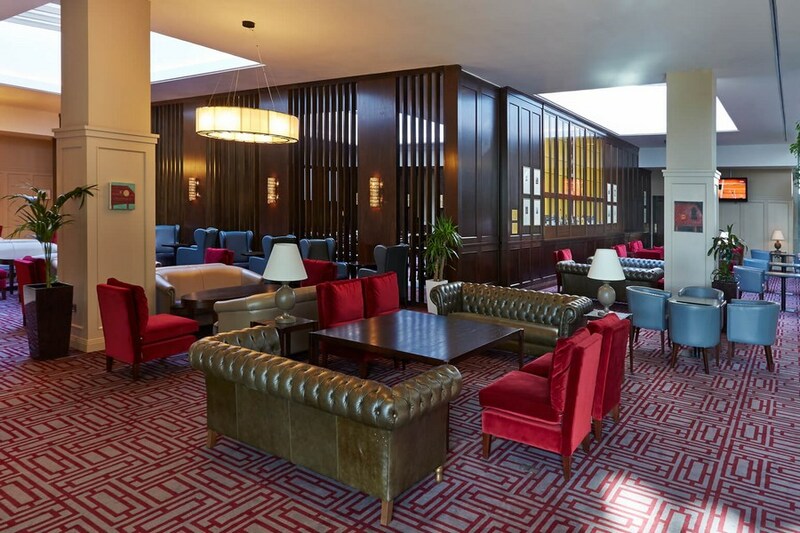 We had a very pleasant overnight stay with breakfast at Bewleys,Dublin Airport on the 17th May.The new bar is really nice and there was a great buzz about the place.I have stayed here many times and find the price very reasonable and the hotel very comfortable.The staff are very nice too. rooms were spotless and cosy hotel reception staff were slow but gud .breakfast staff were as sour as sour lemons particularly restaurent manager everything was a hassle no bread out or cups ect .floors and tables not cleaned enough breakfast was very good tho . All good except having to pay an extra €9 to park our car in the hotel car park! Great welcome at the hotel, food was fab service was 100% couldn't fault Kamel and his team. Only problem I had was the €9 overnight car park fee.... if you pay €100 for your nights stay like you do in any other hotel you are not charged to park your car!! Styed here on a b &b plus dinner basis. Great shuttle bus service and bus driver most helpful. Plesantly surprised at size of bedroom. Dinner very nice and breakfast also lovely would stay here again.